The Cetim (mechanical industries technical center) Innovation Forum was held on December 6, 2018 in Senlis (France). The goal of this forum was to boost startups/industrials discussions. 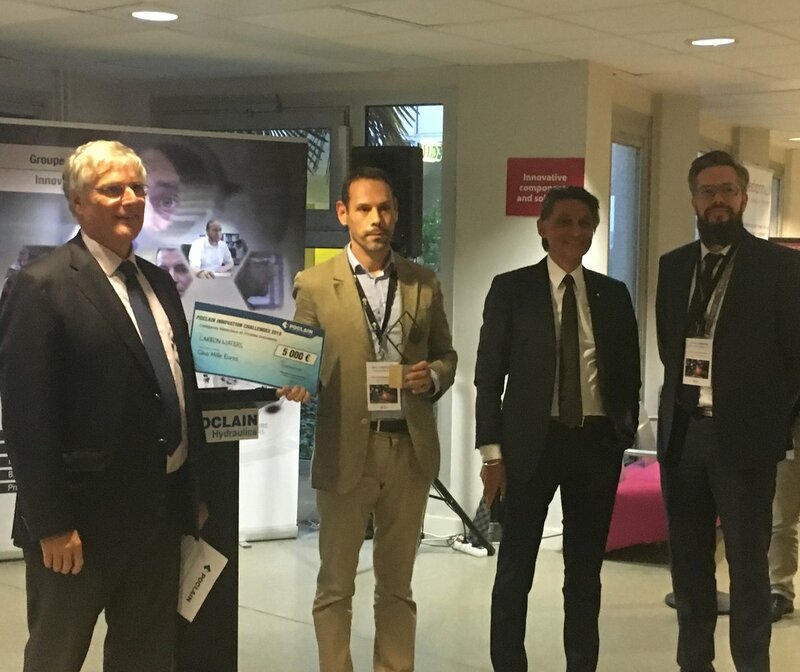 At this occasion, Carbon Waters has been awarded by a 1st prize in “innovative materials and fluids” category and with a 5 000 € grant. The event brought together 67 startups who participated in this innovation challenge and more than 300 industrial companies. Read the Cetim article about this event.